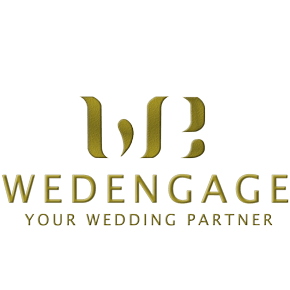 Ever dreamt of exchanging the marriage vows or saying “I do” somewhere far away from the city, maybe somewhere calm and beautiful? Or maybe at some place where you will feel like a royal couple, like the king and the queen on your wedding day? 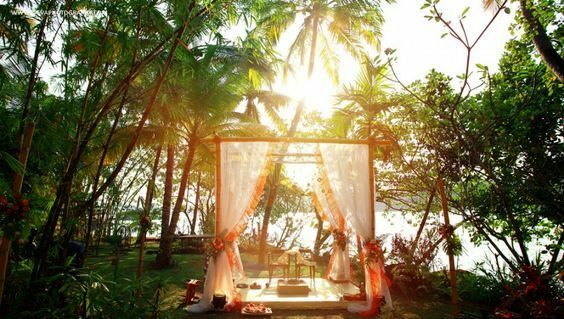 Here are the top five wedding destinations in India where you can tie the knot and start your beautiful journey together. The moment someone mentions “destination wedding in India” or “royal wedding in India”, I guess Udaipur is the first place which comes to our mind. Lying in southern Rajasthan near the Gujarat and Madhya Pradesh border, it rests in the shadows of the Aravalli Mountains at a height of 577m. Udaipur, also known as the “City of Lakes”, is a very well developed town yet keeps the greenery and charm of an old Heritage City. 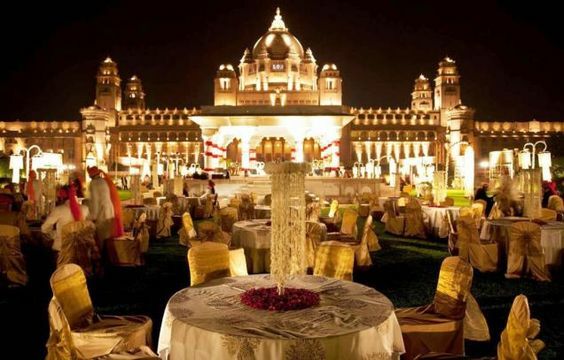 It is preferred to any other destination in Rajasthan when it comes to the choice of a place to get married. Jaipur, also known as the Pink City of India, is the capital and the largest city of Rajasthan. 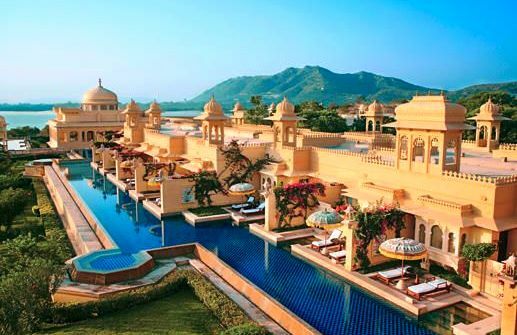 After Udaipur, Jaipur is one of the most popular wedding destinations in India. How about tying the knot in “God’s own country”? 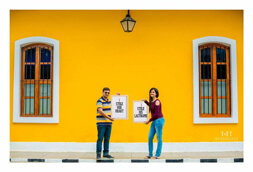 Kerala holds so much to see and experience for the destination wedding couple and guests – starting from white sands and beautiful beaches to sparkling bay waters and mountain ranges. Plus, it’s culturally extremely rich, so it’s often chosen as a wedding destination. Imagine your wedding day on white sands, at a historic Indo-Portuguese church or at an exotic beach resort… Sounds perfect, doesn’t it? 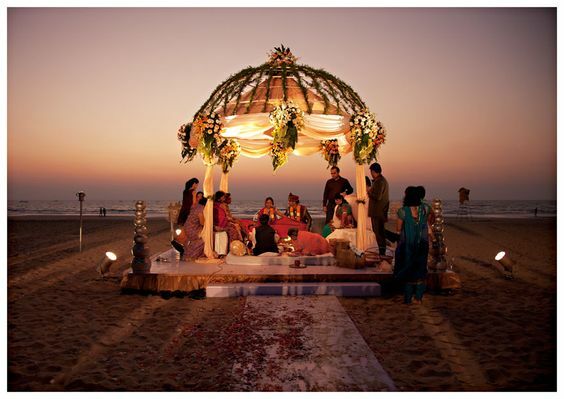 Goa is one of the most romantic places where you can tie the knot. 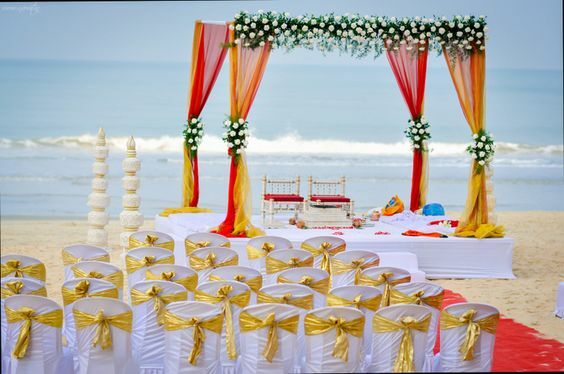 If you want your wedding to take place in an exotic destination where the ceremony backdrop is the crashing waves, the beach vibes, and the cool multiple hues, then Andaman and Nicobar Island is the perfect place for you.